Margaret is a 54 years old woman, working as a sweeper in a private school. Her husband died 5 years ago and now she lives with her one son and a daughter in a rented one bedroom house. Her other daughters are happily married and settled in their own lives. 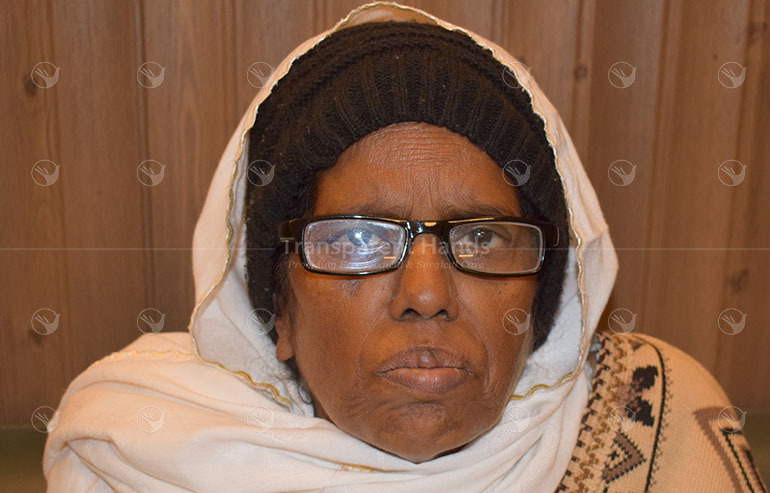 Due to her weakness and old age, Margaret had to leave her job a few months back and now, her son is employed at the same school and earns only 17000 PKR in a month. A few weeks ago, Margaret slipped in washroom and her children took her to a hospital in emergency. Doctors diagnosed her with Left Femur Neck Fracture. She visited many government and trust hospitals but didn’t get any relief from there. She is continuously suffering from severe pain, immobility, the stiffness of muscles and the condition is getting worse with bruising and swelling in and around her injured hip area. When there was no hope left for her ongoing pain, she came to know about Transparent Hands and contacted us. Now, she is scheduled for her Total Lt. Hemiarthroplasty in a few days. This poor lady needs your generous support without which, her surgery will not be possible. Margaret has spent her life working and raising her family. Now she needs our help to regain her lost self-esteem and mobility. Our donations can enable her to recover from her fatal injury and help her to live her life in good health.